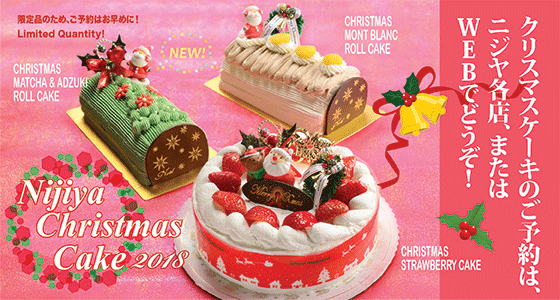 We closed the reservation of Christmas Cake online order. Please contact your closest store for more information. Select from various flavors: Chocolate cake, strawberry cake, and more! You can make a reservation for pickup at Nijiya stores. Limited amount, so please hurry! You can also visit or call us to make reservation. The prices and variety of items on the picture are ONLY for CA stores.